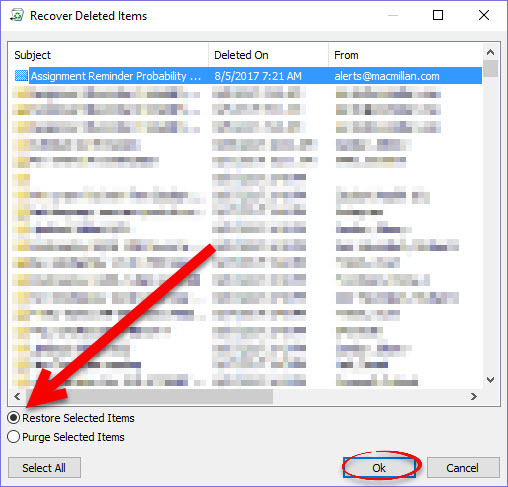 Have you ever permanently deleted something from Deleted Items in Outlook? You know, that’s when you get the message, “Are you sure that you want to permanently delete the selected (items)?” and click “Yes” only to realize you didn’t want to do that after all. Here's how to recover those items. 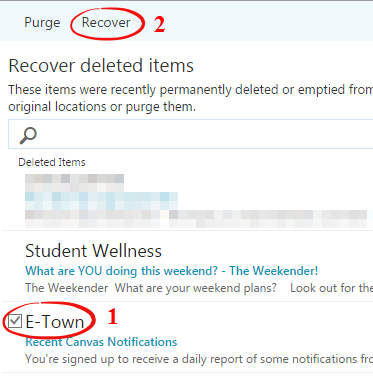 Step 1:In the Deleted Items folder, click Recover Deleted Items from Server. Step 2:Select the item you want to recover. It will turn blue. Click Ok to recover the item. 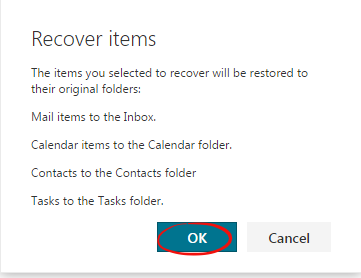 Make sure that Restore Selected Items is selected. 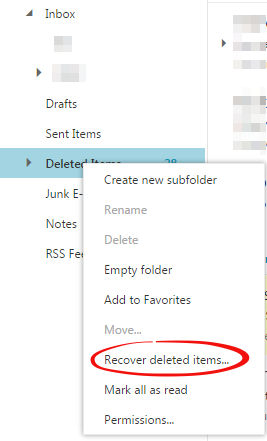 Step 4:Drag and drop the recovered item to the Inbox or other appropriate folder. Mac Users: Hold down CTRL and click the Deleted Items Folder. 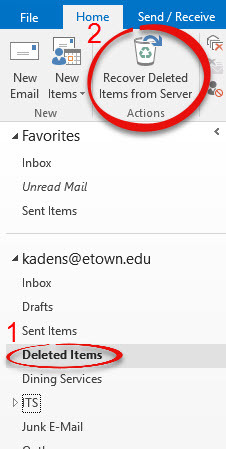 Step 2: Select the email you would like to recover then click Recover at the top of the window. Step 3: Click OK. 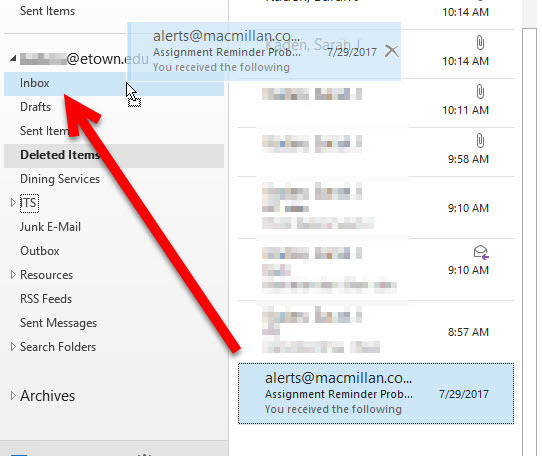 The email will return to the folder it was deleted from in date order. 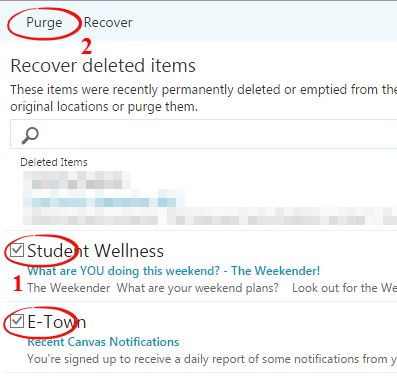 Step 4: You can also select emails and click Purge. This will permanently delete those messages.